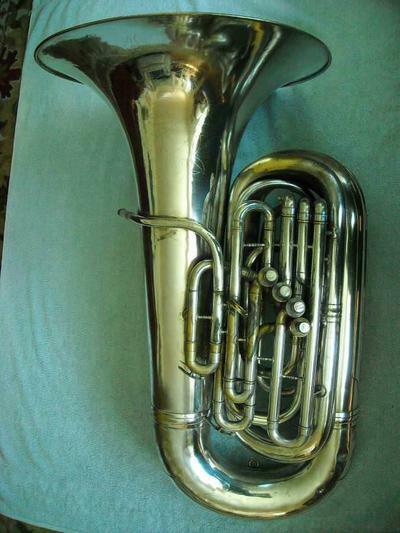 Cool old horn, and 3100 is probably a fair price! I think it's an 83j or 84j but I'm not 100% certain. That is one nice looking horn. I'm in the area (sort of), and had seen this on my local craigslist. Currently in the market for a different 4-valve horn. I'd imagine something like this takes a lot of air? Would this be a 5/4? I'm about 3 hours away and had considered going to see it, but with twin babies, it would have to be worthwhile. So these have the .734” bore valves like the old Conn 38K/40K did. 22” bell. Should Ben fairly easy to play, definitely a 4/4+ or 5/4.